On Thursday I gave you tips to prevent arthritis but if your dog or cat already has signs of arthritis--be it mild or severe--there are many things you can do to help keep him pain free. 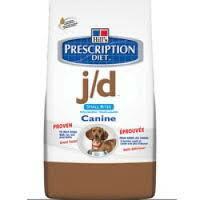 Try a specialty diet such as the J/D diet made by Hill’s Prescription Diets, which is specifically formulated for dogs and cats with joint disease. The diet was created using nutrogenomics--a fancy word that means they used DNA sequencing to locate the genes that are active in animals with arthritis and created a diet to alter expression of these genes. 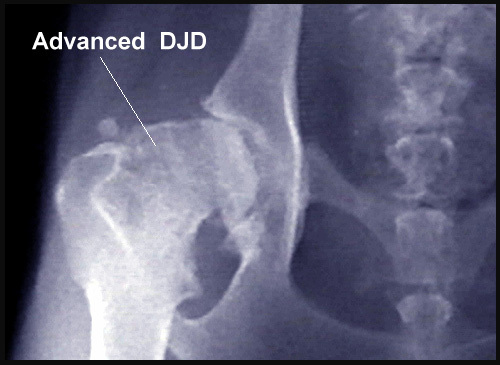 Not only is this really cool, but several studies show the J/D diet really works. It’s never too late for a glucosamine/chondroitin supplement. Along with Cosequin, Nutromaxx also makes a product called Dasuquin, which supplements the glucosamine and chondroitin with a special avocado extract that has been shown to help decrease joint pain. You can also up the ante with Adequan injections. This injectable supplement is administered by a veterinarian and is similar to glucosamine/chondroitin but quite a bit more potent. Try laser treatment. At Friendship we have a therapeutic laser that uses specific wavelengths of light to decrease inflammation and stimulate healing. During each painless treatment, the laser light interacts with tissues at the cellular level to increase metabolic activity within each cell. A cascade of beneficial effects is initiated, increasing circulation and drawing water, oxygen, and nutrients to the damaged area. This creates an optimal healing environment that reduces inflammation, swelling, muscle spasms, stiffness, and pain. Does it work? You bet. 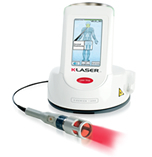 There are more than 100 rigorously controlled, scientific studies that document the effectiveness of laser for many clinical conditions such as joint pain, hip dysplasia, swelling, ligament sprains, muscle strains, bite wounds, traumatic injuries, post-surgical pain and chronic wounds. 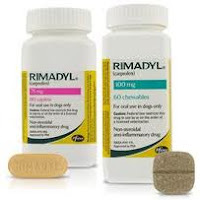 If the above methods don’t do the trick, then it is time to start a non-steroidal anti-inflammatory (NSAID) medication such as Rimadyl or Metacam. These drugs are extremely effective at controlling and alleviating arthritis pain. I have had clients tell me their dog is running around like a puppy again after starting Rimadyl. The NSAIDs can change a dog’s outlook on life but need to be used carefully. Just like all medications, NSAIDs have side effects. These include gastrointestinal upset, stomach ulcers, liver and kidney disease. Because of these side effects I always recommend monitoring bloodwork every 6 months for all my patients on these drugs. There are other pain medications available but none of them work as well for arthritis pain as the NSAIDs do. Prevention is the best medicine, as the saying goes. I hope I have given you some tips to keep your pet’s joints healthy. Remember, if you do notice some stiffness, limping or slowing down in your dog or cat, talk to your veterinarian right away. With so many options for slowing down arthritis and keeping your pet pain free, you won’t want to wait to get started.